William isn’t leaving anything to chance, however—especially not his daughter’s happiness. So, when a strapping young Union soldier named Gabriel Cole crosses his path while serving in the War, a plan quickly takes shape in his mind. William takes it upon himself to ensure that the young man, who plans on heading West, finds his way into his daughter’s New England heart after the war comes to an end. ***This is the second book of the Nurses Of The Civil War series. 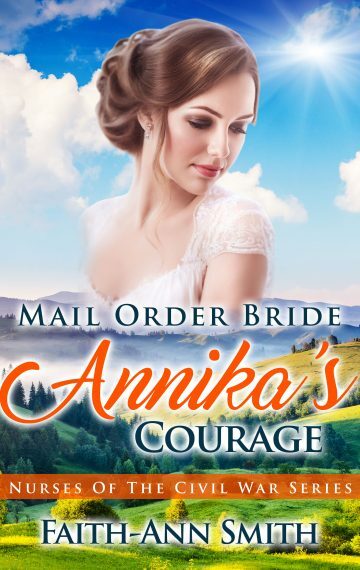 Each book within the series is a STANDALONE clean historical mail order bride romance story with a HEA and may be read in any order.